Lightweight woven fabric. Floral print. Round neck. Regular fit – true to size. Machine wash. 93% Viscose, 7% Elastane. Model wears a UK 8/EU 36/US 4 and is 158cm/5’2″ tall. 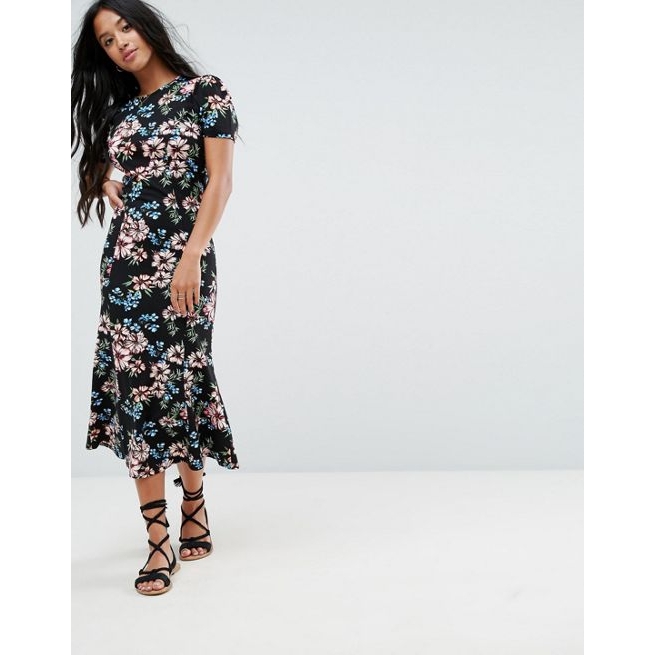 Maxi dress length between: 128. 5-143. 5cm.